Sonya received her PhD in molecular genetics in 2001 from New York University, and then went on to gain a MBA, graduating with honors in 2003. She spent between 2003 and 2005 working in a Leipzig-based academic CRO (The Coordination Center for Clinical Trials), carrying out project management. During her employment there she was involved in the generation of dossiers for INDs, including the writing of trial protocols and investigator brochures for clinical studies. In 2005 she joined the Fraunhofer Institute for Cell Therapy and Immunology in Leipzig (IZI) Business Development Unit where she was responsible for the acquisition and coordination of publically funded grant and industry projects. In 2010 she began working full time as a clinical trial coordinator for a small biotechnology firm (AC Immune) in Switzerland. There she managed an ongoing Phase II clinical trial of a small molecule for the treatment of mild to moderate Alzheimer’s disease and was able to steeply increase the recruiting rate to meet predefined goals. She also instituted an overall budget tracking system for clinical use to track all trial related invoices. She was responsible for the organization of the DSMB meetings, the newsletters, and managed the timelines in regards to interim analyses, audit plan and audits. In addition she coordinated over 10 separate vendors on the trial including biomarker vendors and biomarker data. Her background in biomedical research allowed intensive and productive liaison with the pre-clinical departments in regards to mechanism of action of the substance being tested. She left the company in October 2011 to work for a large pharmaceutical company (CSL Behring) in Germany, where she took the role of Senior Clinical Project Manager responsible for CRO management (Parexel). There she managed the set-up of a pediatric clinical trial for recombinant factor IX in the indication of hemophilia B. She was active in cross functional groups, and directly involved in patient recruitment, enrollment, internal liaison and management of pre-clinical, and manufacturing budgets, data review and vendor management. In addition she became familiar with several industry standard clinical trial management systems including IMPACT, and HERMES, as well as IVRS/IWRS systems. 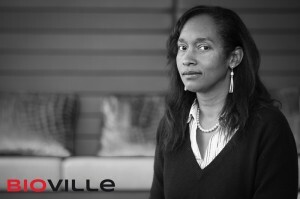 As of March 2012 she has taken the role of Head of Clinical Project Management for Bioville Clinical. She is a driving force for the transmission of knowledge within the firm and teaches a GCP training course for the staff.